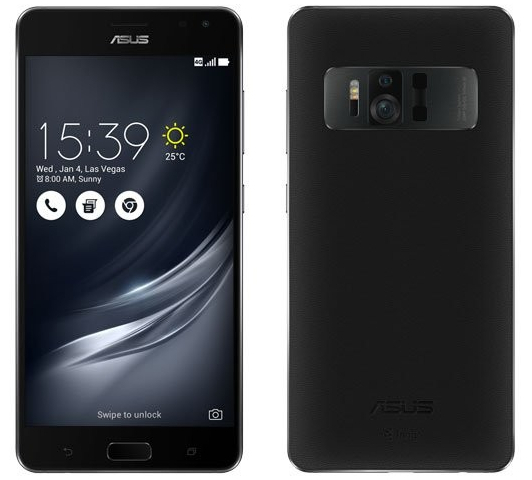 Asus ZenFone AR Specs, Features Announced : Has 8GB RAM, Google Tango and Daydream VR Ready! 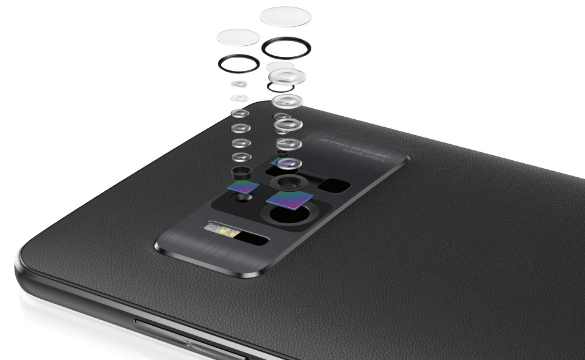 Asus ZenFone AR, which made its debut at CES 2017 today - January 5 - at around 3AM Manila Time, is the first smartphone in the world to have an incredible 8GB of RAM! That internal hardware feature alone - I know - would be enough to make many of you fancy this device. 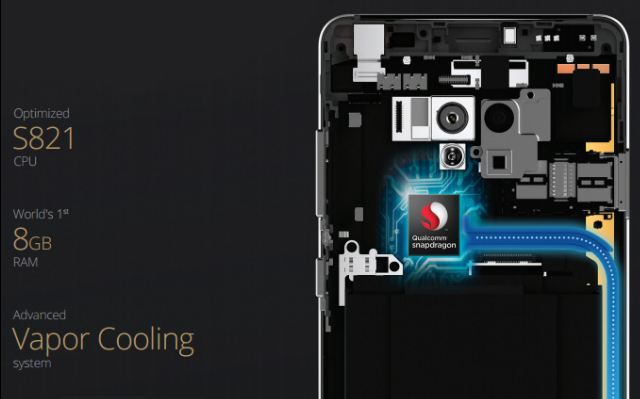 But actually, such large amount of RAM paired with handset's beastly Qualcomm Snapdragon 821 processor and advanced vapor cooling system merely make this device's primary selling point possible. 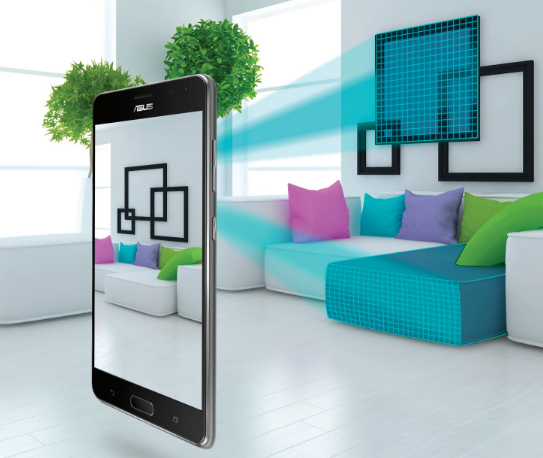 You see, as its name suggests, Asus ZenFone AR is one of the first Android smartphones that support Google's Project Tango and can work with Daydream VR headset. 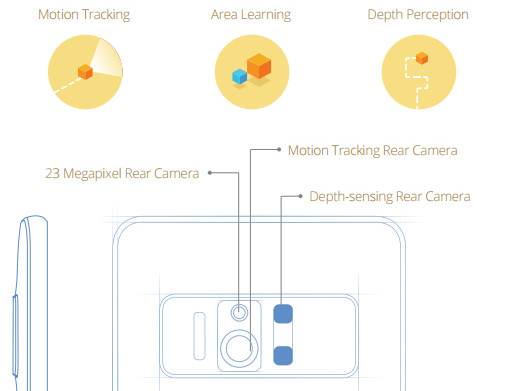 Project Tango is Google's Augmented Reality platform that uses computer vision to enable smartphones and other mobile devices, to determine their position relative to those around them without using external signals. Daydream, on the other hand, is a Virtual Reality mode that's integrated into Android 7.0 Nougat OS, allowing the user to view VR apps - like Youtube and Google Street Maps view among others - in a more immersive manner using a supported headset. More about these cool mobile technologies on TechPinas soon! Yup, I'll be explaining them further -- so stay tuned! Going back to specs, Asus ZenFone AR is also equipped with a 5.7-inch Quad HD (515 ppi, 72.59 % screen to body ratio) SuperAMOLED display that's protected by scratch-resistant Gorilla Glass 4 touchscreen, 23 MegaPixel main camera at the back (with Sony IMX318 sensor, OIS, and EIS), 8 MegaPixel front cam for selfies, 4K video recorder, Fingerprint Scanner, Dual SIM Dual Standby capability, 4G LTE Cat11 support, and a 3,300 mAh battery pack, which sadly isn't bigger. In terms of looks, ZenFone AR's face - replete with a 'stretched' circle home button below the display - reminds me of some Samsung Galaxy smartphones while the design of the camera module at the back - I think - is reminiscent of Nokia 808 PureView. But hey, that's just me. You may be seeing something else when you stare at the press photos. As of writing, Asus hasn't announced the exact release date and pricing details of this exciting new model. Off hand, what we know is that it's arriving sometime in Q2 2017; Hopefully, just in time for back to school season here in the Philippines. 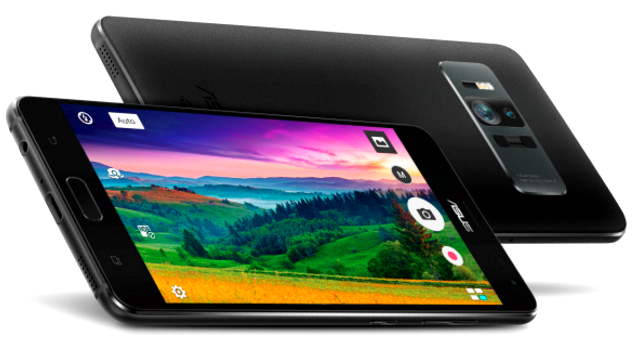 Oh, and I reckon this will be the most expensive ZenFone model to date -- so if you're already smitten, be prepared.